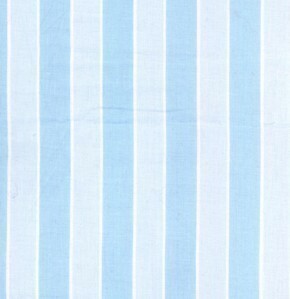 Barbara's shop features affordable fabrics, vintage buttons, and handmade fabric baskets. This Tanya Whelan Hatbox pattern has me itching to work on something crafty! From You Flowers is a one-stop shop for flowers, plants, gifts, and more. 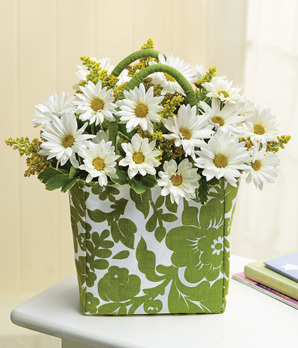 This Daisy Summer Tote looks like the perfect summery way to say "hello" to someone special. Enter the site from the button in my Sponsors sidebar and you'll get 15% off your order! 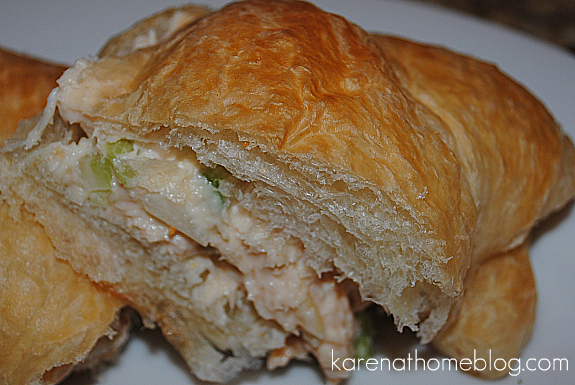 Karen's recipe for Easy Chicken Salad Sandwiches will make your mouth water! I am a huge fan of simple, inexpensive recipes. Have you visited Gina's new shop? Formerly, The Shabby Chic Cottage, Gina's new site is filled with all kinds of goodies to fluff you cottage, castle, or casa. 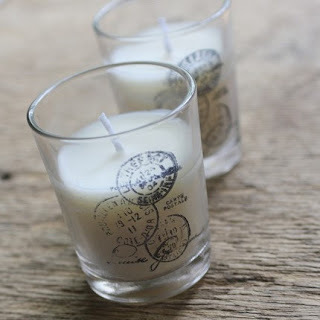 I'm crushing on these Paris Postmark Votives. Back to School season is a comin'! 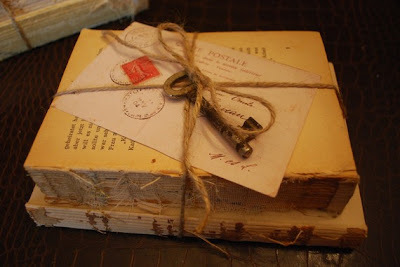 Wouldn't one of the Vintage Book Bundles from Tres Magnifique make a unique addition to a seasonal vignette? I actually need to order flowers this weekend and have never heard of the company you have linked here so I will definitely check them out! I as well am an aspiring blog writer but I'm still new to everything. Do you have any recommendations for novice blog writers? I'd genuinely appreciate it.